It looks like Take Two may not be getting a season two. According to The Hollywood Reporter, ABC has cancelled the TV show after only one season. 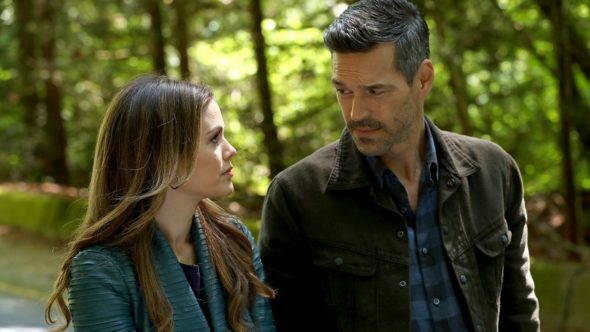 The comedy-drama stars Rachel Bilson as Sam Swift, an actress who begins shadowing a private investigator played by Eddie Cibrian. The cast also includes Xavier de Guzman, Aliyah O’Brien, Alice Lee, and Jordan Gavaris. Ratings for Take Two were never particularly high. Season one averaged a .42 rating in the 18-49 demo and 2.707 million viewers. Although ABC has cancelled Take Two, THR says the production is looking into shopping a second season to another outlet, possibly a streaming service. What do you think? Have you seen Take Two? Would you watch a second season? More about: ABC TV shows: canceled or renewed?, Take Two, Take Two: canceled or renewed? Take Two: Season Two; Should the ABC TV Show Be Renewed? The Catch: Should the ABC TV Show Be Cancelled? American Housewife: Cancel or Keep the ABC Sitcom? I did not know that Rachel was staring in this show. If it is on this Thursday, I will be watching. yes great comedy drama show. Really enjoyed the show it was clean & entertaining. Please bring it back. Take two would have to keep off if premiered in a better season.